Tottenham will try to avoid a second defeat from three matches in Group E of this year's Champions League when they face Bundesliga outfit Bayer Leverkusen at the BayArena on Tuesday night. 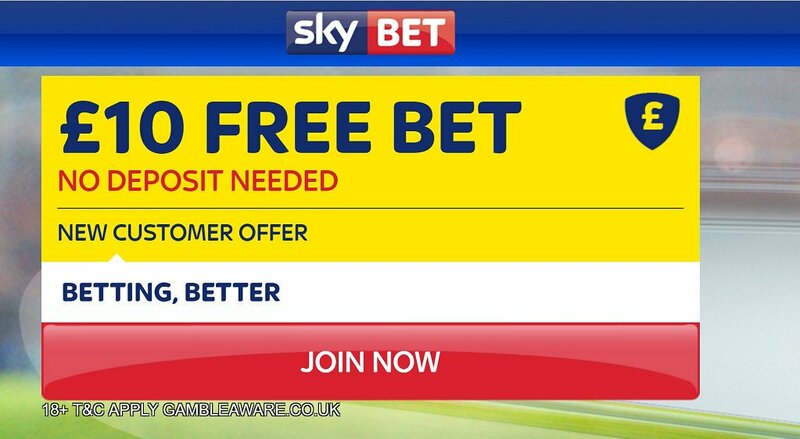 Find below our Bayer Leverkusen v Tottenham betting preview with free predictions, betting tips, starting line-ups, team news, best odds, exclusive offers and no deposit free bets on the Champions League. Bayer Leverkusen season has been very inconsistent as they are yet to manage back-to-back wins. An excellent 2-0 win over Borussia Dortmund at the BayArena before the international break was followed by a dismal 2-1 reverse at Werder Bremenat the weekend. In Champions League they have drawn their two European matches so far, blewing a two-goal lead in a 2-2 draw against CSKA Moscow and conceding a 94th minute equalizer to Monaco in a 1-1 draw. Roger Schmidtìs men are formidable on home soil where they are unbeaten in ten games, and they have won seven of those matches. Lars Bender is a doubt for the hosts and will be assessed closer to kick off. Roger Schmidt is expected to name an unchanged side with Chicharito Hernandez and Kevin Volland up front and four-man midfield formed by Hakan Calhanoglu, Kevin Kampl, Julian Brandt and Charles Aranguiz. Karim Bellarabi, Vladlen Yurchenko and Joel Pohjanpalo are all ruled out through injury. Tottenham secured a pivotal away victory against CSKA Moscow last time out after a 2-1 home loss to Monaco in gameweek 1 of the Champions League where they currently sit second in Group E. They are unbeaten in the Premier League and boast a W2 D2 record away from home. The drew 1-1 against Everton, beat 4-0 Stoke City and 2-1 Middlesbrough on their travels before to drew 1-1 at the Hawthorns against West Brom last weekend. Heung-Min Son should again be the key man up top for Spurs with star forward Harry Kane still recovering from an ankle problem and new signing Vincent Janssen struggling to impress. Toby Alderweireld was forced off with a knee problem in the 1-1 draw with West Brom and manager Mauricio Pochettino is likely to count on midfielder Eric Dier as a makeshift centre-back. Mousa Dembele and Danny Rose are both expected to come into the side in place of Moussa Sissoko and Ben Davies. Leverkusen (4-4-2: Leno; Henrichs, Tah, Toprak, Wendell; Aranguiz, Kampl, Brandt, Calhanoglu; Volland, Chicharito. 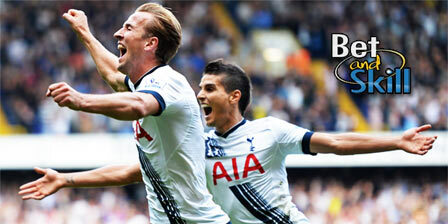 Tottenham (4-2-3-1): Lloris; Walker, Vertonghen, Dier, Rose; Wanyama, Dembele; Eriksen, Alli, Lamela; Son. 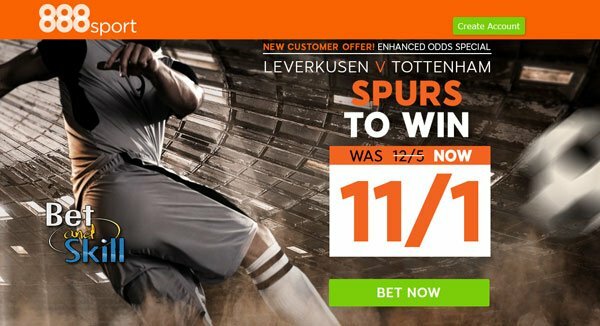 "Bayer Leverkusen v Tottenham predictions, betting tips, lineups and odds (Champions League - 18.10.2016)"